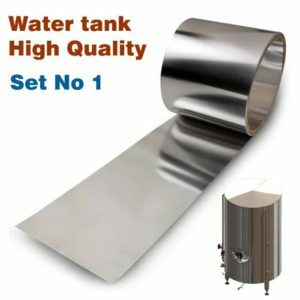 Hot water tank (HWT) is used to store and when necessary reheating and pumping of hot water. The brewery gets hot water mainly from the heat recuperation during cooling the wort in the plate exchanger DV1. 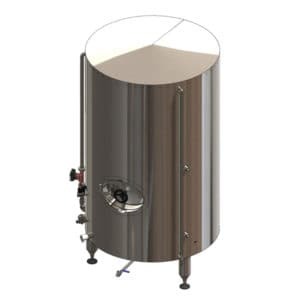 Furthermore, it is possible to obtain more hot water while using a condenser of secondary steam during heat recuperation of secondary steam generated during brewing the mash and the wort (optional brewery). In this case, the brewery adds secundary reservoir of hot water. 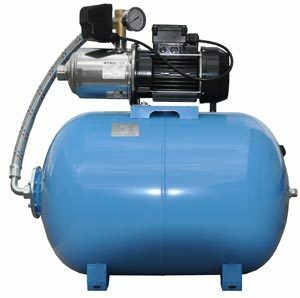 If there is not enough hot water, or when hot water in the tank during a long break cools down, it is possible to heat the water by the passage of heat transfer fluid (glycol / steam) through the heat exchanger, which is integrated into the bottom of the container. Note: The breweries BREWORX LiteME and Lite WC do not have an ice water tank. 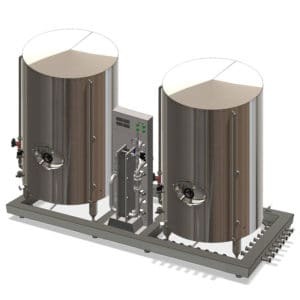 The cooling of the wort is performed by 2-stage plate heat exchanger with tap water and then glycol. 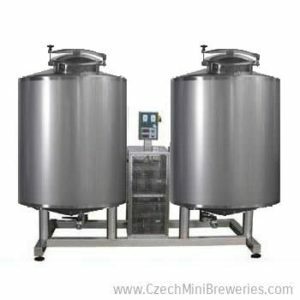 The pressure of hot water in the pipe system is provided with waterworks, which is also part of our supplied breweries. The waterworks may be replaced by a special pump, providing the same function.